Extends electric fence wire 5" away from post. Wrap around design ensures a secure hold on T-posts from 1 1/4" - 1 3/8" in size. Extends electric fence wire 5" away from post. Wrap around design ensures a secure hold on T-posts from 1 1/4" - 1 3/8" in size. Two large shields to prevent shorting. 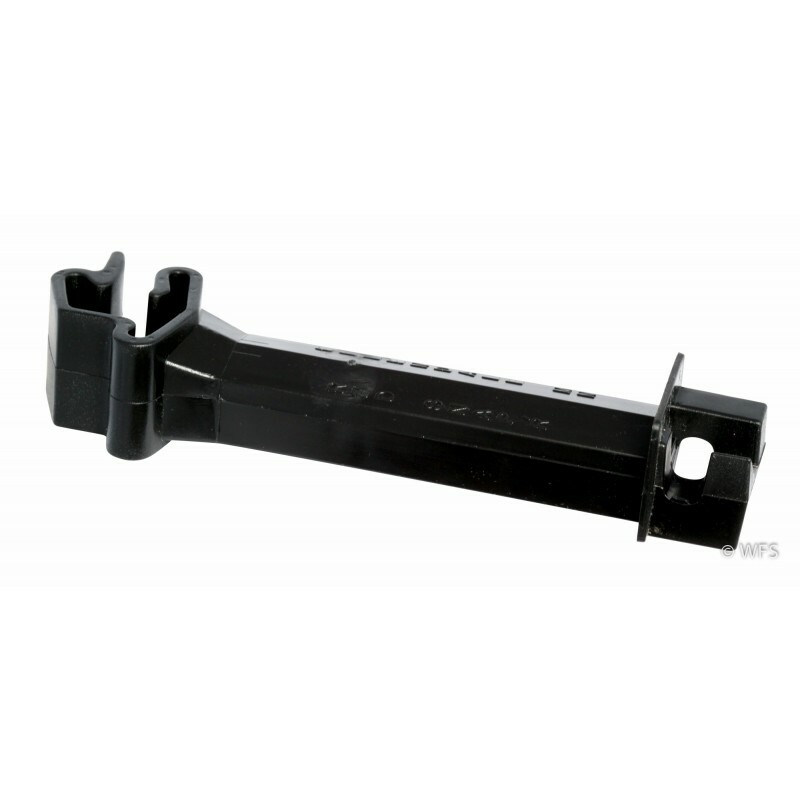 Easy 45 degree front end loading feature to accommodate most wire sizes. UV-protected to resist weathering. Not for high-tensile. Black only.